Four days after a major snowstorm paralyzed the region, daytime temperatures above freezing are helping Long Islanders thaw out from the cold. Though the warmer weather is helping to melt roads and side-streets still covered in snow, driving conditions are yet far from perfect. 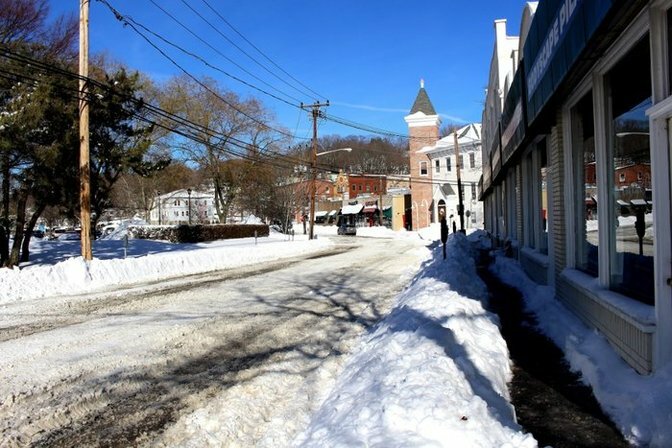 By now most of the Island is going about its normal weekday business, but the snow has convinced at least one school on LI to keep its doors closed for one more day. As schools reported to us on Wednesday, January 27th, 2016. Not an official state record.